When you want tapas but you’re no where near Spain! My household love anything with halloumi. Family tend to be your best critic and they gave them top marks, so here’s the recipe if you to want to score some brownie points. Preheat the oven to 200 degrees and heat the olive oil in a roasting tin. Peel and chop the potatoes into 2cm chunks, spinkle with salt and cook in the oven for approximately 45 minutes until cooked through. Make a garlic and herb oil to drizzle over the top with 2 tbsp olive oil, 1 clove of crushed garlic and chopped parsley. Leave to infuse whilst you do everything else. Allow to simmer whilst the potatoes cook in the oven. 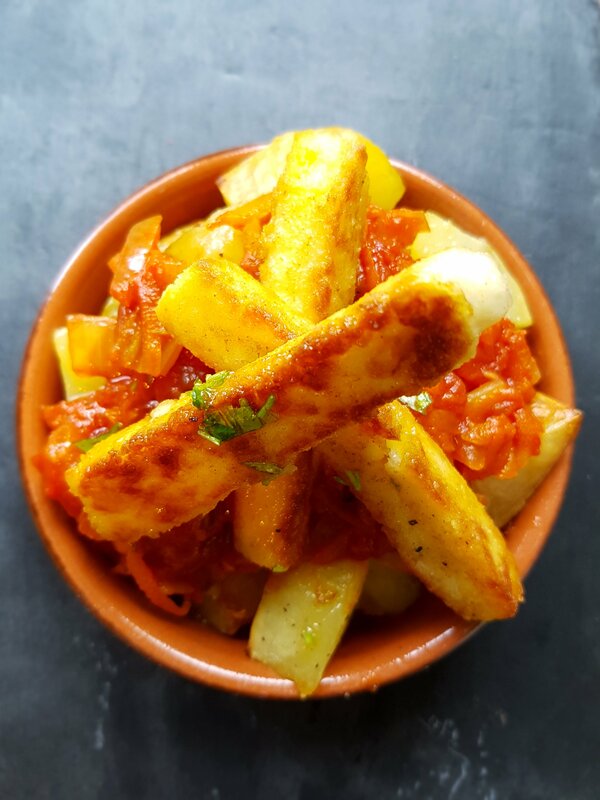 Next for the halloumi fries, slice the halloumi into fries and coat in seasoned flour. Heat a little olive oil in a non stick frying pan and fry the halloumi until golden brown on all sides. Drain on a sheet of kitchen paper. 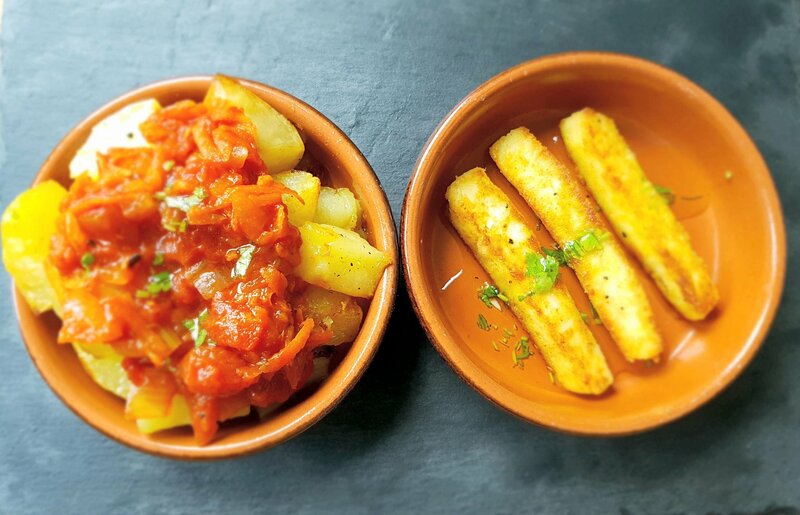 Place the cooked potato on a plate, top with tomato sauce, then halloumi fries and drizzle with oil. This will go down a treat sat in the garden to share with family and friends.